The IT sector enjoyed an indifferent start to the year since 2008, Office of National Statistics reported this week. 1Q11 sales of hardware and software to the private sector, which represents about two-thirds of the total market, were £3.00bn, down from £3.30bn in 1Q10 and from £3.32bn in 4Q10, the ONS said. Investment in transport and communications fell almost 25% to £4.8bn, probably due to the zero rating of VAT on some aircraft which pushed up sales for 4Q10. 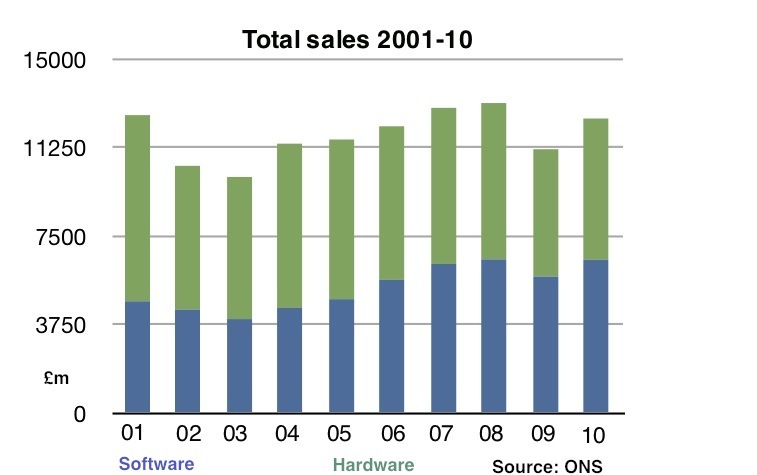 The ONS said figures for computer hardware and software sales are now available to download as several time series. These provide quarterly sales of hardware and software from 1Q01 for different sectors.